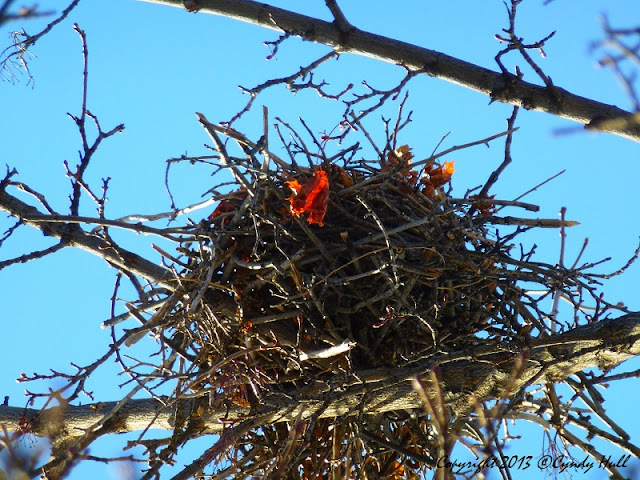 When you think about them, even the most prosaic of bird nests are pretty amazing. I mean, fluffy little birds twitter and flitter and pluck and stuff random twigs and bits of string and whatyagot. And the outcome is a resilient structure that shelters their delicate eggs and subsequent offspring from whatever the weather dishes out, and this creation often survives a year or more after the chicks have grown and flown. It's good for the soul to consider the common and remember to be amazed. Such a true reminder. 'Tis also good for the soul to consider the works of His hands and acknowledge how marvelous is the love of our Creator.